Many faults may arise due to the un-proper functioning of a solenoid valve. Hence To avoid this fault, solenoid valve used in control system must work properly. 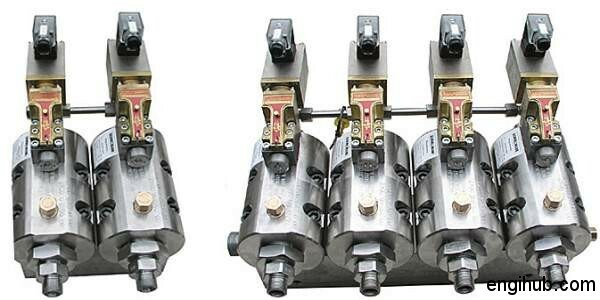 A solenoid valve is the most sensitive part used for loading/unloading of Air Compressor. To obtain the best result from solenoid valve, it must install in the proper way. So, first, you have to know the installation procedure. Every instrumentation engineering people must have the information of this. 01) Solenoid Valve must be mounted inside the control panel. 02) Before starting the valve ensures that the air supply to the valve is filtered & lubricated. Even a momentary testing of a valve with dirty contaminated air may cause malfunctioning of the valve for rest of working life. 03) Ensure that adequate quantity of air supply is connected to the inlet port. A minimum air pressure of 15 to 20 PSIG is required to start with the proper operation because these are a pilot operated the valve. Hence Air pressure to inlet port should not fall below required limit. 04) Connect electric supply marked on the solenoid valve without any loose connections. The solenoid is designed for the voltage drop plus or minus 10%. Ensure 230Volt supply to the coil. 05) Always take care to connect the cylinder port (outlet) of the valve, to a suction valve. If the valve is tested without connecting this port to a closed chamber, then due to heavy pressure drop, the pilot mechanism will not have enough pressure to operate the internal mechanism & valve fail to function. After proper installation, solenoid valve works properly (without faults). But Due to long working span, some faults may occur in the solenoid valve. This may happen due to below reasons. 01) This type of valve requires proper voltage. A voltage drop or gain, more than 10 % affect the functioning of a coil. 02) A clean inlet air is required, if dirt entering the plunger housing, coil chattering problem starts. 03) A very low differential pressure range of load /unload will create the problem. Hence, Keep differential pressure ranges minimum 08 PSIG. 02) Inlet pressure is so low that the pilot mechanism cannot be actuated. Keep minimum air pressure above 15 PSIG. 03) Pipeline connected to any of the valves is so narrow that the cylinder connected to valve gets starved of air causing a severe pressure drop-hence starving the pilot mechanism from getting minimum pressure. To remove this fault, connect the valve to an adequate supply of compressed air. 04) Air leaking through the solenoid plunger housing when the coil is not energized. A replacement of plunger or plunger plug will rectify the problem. 05)Air leaking through the exhaust port, this defect may take place either due to dirt entering the valve or due to wear out of sealing components. Clean the valve or replace the sealing elements and rectify the problem.